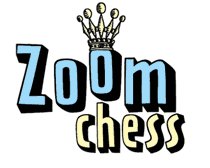 FAQs / How can we use ZoomChess in our after-school Chess Club? Normally, after-school Chess Clubs use ZoomChess as a supplement to chess club instruction, and as a convenient way for students to practice and play better at home. More practice = more tournament wins. Some chess clubs use ZoomChess during instruction time, showing videos, discussing concepts, and solving puzzles as a group. Some chess coaches use it to assign homework to their Chess Club kids. ZoomChess is very flexible, and Chess Clubs use it in many different ways.